Amy Boylan is a video game and website executive. In 1997, Boylan started working at Mattel, eventually building the Mattel Brand software to 180m. 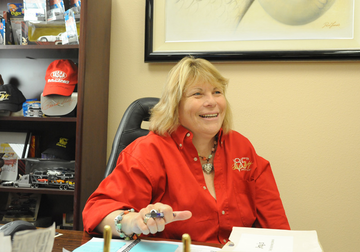 As SVP for Hot Wheels she created the Planet Hot Wheels website, which allowed users to customize and race cars online. In 2001 Amy and her team built the Hot Wheels Collector club including the Redline Club (RLC), that success led to her promotion leading the Hot Wheels adult Division. After leaving Mattel in 2005, Boylan began running Carroll Shelby Automobiles. Boylan left Shelby in 2010, becoming President of West Coast Customs. In 2012, she was inducted into the Diecast Hall of Fame as a Diecast Entrepreneur.